The surface of the concrete slab floor in this commercial service garage was eroded in some spots, heavily pitted in others and stained with oil. 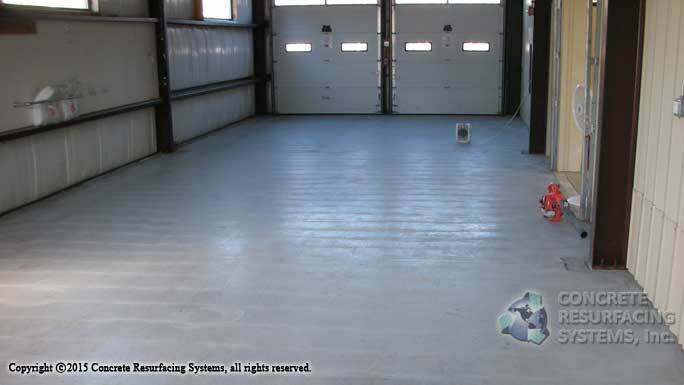 To prepare the floor for epoxy coating we used a diamond grinder to remove the eroded surface and bring it down to a clean, level layer of solid concrete. We then applied an epoxy primer coat. 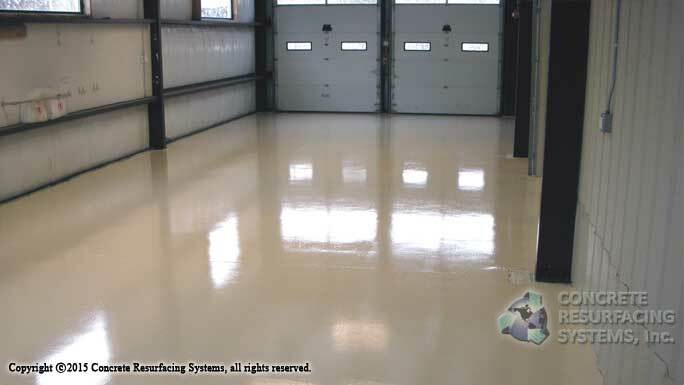 For a top coating we applied a high gloss, UV stable, chemical resistant urethane. This floor is now ready for commercial vehicle repairs. Our Framingham, MA office serves Metrowest and the Greater Boston areas, Our Falmouth, MA office serves the MA South Shore, Cape Cod, Nantucket, Marthas Vineyard and Rhode Island. Our Naples, FL office serves residential and commercial customers in the southwestern Florida counties.